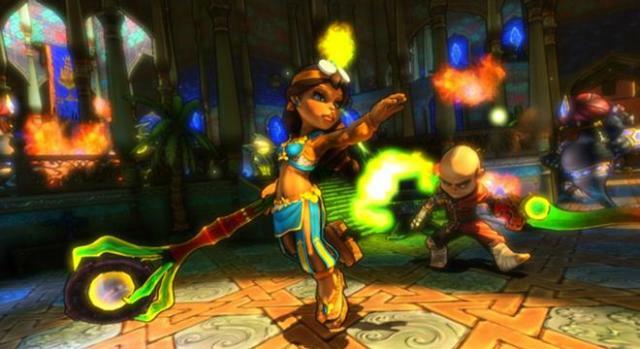 The latest title update and DLC for Dungeon Defenders has been submitted to Microsoft and Sony for their approval, according to Trendy Entertainment’s Development Director and Chief Technology Officer Jeremy Stiegliz. He added that it “won’t be much more of a wait now,” but confirmed that console gamers will have to hang in there a little bit until after the PC version is released. Stiegliz made the announcement on the game’s official forums, and fans quickly asked for clarification on the release window. While none was forthcoming, the wait for precise information shouldn’t be long. “I believe Jeremy [Stiegliz] meant the date will be announced in a matter of days,” stated a community manager.